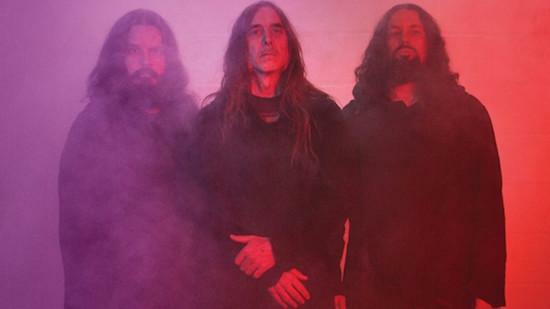 Sunn O))) have announced a European tour for spring next year, which will take in appearance at Graz' Elevate festival. The 'Let There Be Drone' tour will see the group will travel around a number of European cities through March kicking off the month at the Austrian festival on March 1. Support at the festival will come from Puce Mary and Robin Fox, who will play a live A/V show. Sunn O)))'s spring tour will be their first in Europe since 2016 and will see the core trio of Stephen O’Malley, Greg Anderson and Tos Nieuwenhuize playing alongside a cast of other guests. Find more information on Elevate here.